Daniel Pinkwater has been writing and illustrating children’s books for over 30 years. He has also published several young adult novels, such as The Snarkout Boys books, and has served as a commentator and book reviewer for NPR. You can visit Daniel’s official website to learn more about his work or to listen to podcasts of him reading. 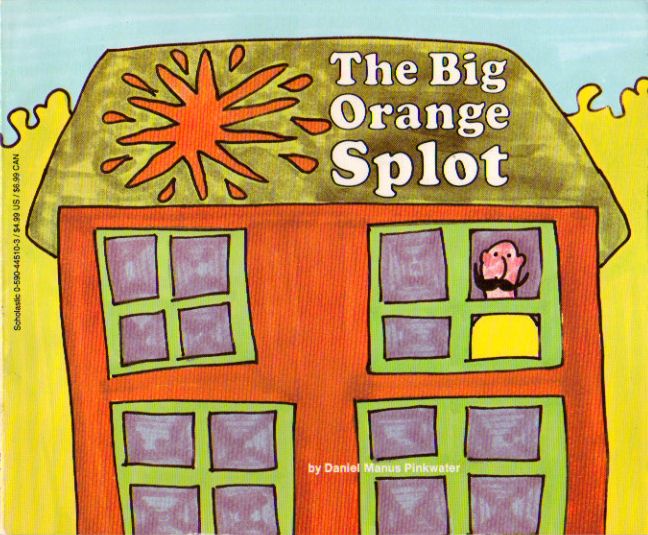 Here at WITS we especially enjoy Daniel’s The Big Orange Splot, the illustrated story about a man who shocks his neighbors by painting his house with outrageous colors and designs. The story encourages readers to celebrate their own unique dreams, and so we celebrate you, Daniel Pinkwater. Happy Birthday!